Pay less when you rent a complete outfit. Ski Pants/Bibs, Gloves, Boots, Jacket & Hat all for one low price. $30 for the 1st day, $15 for the 2nd day, $10 for additional days. Easy. Pick ups and returns are a cinch! Your items will be all bundled up and ready for Free Pick up at The Kitchen Table, conveniently located in East Sacramento, just off the freeway. Of course, we will deliver for a small fee. 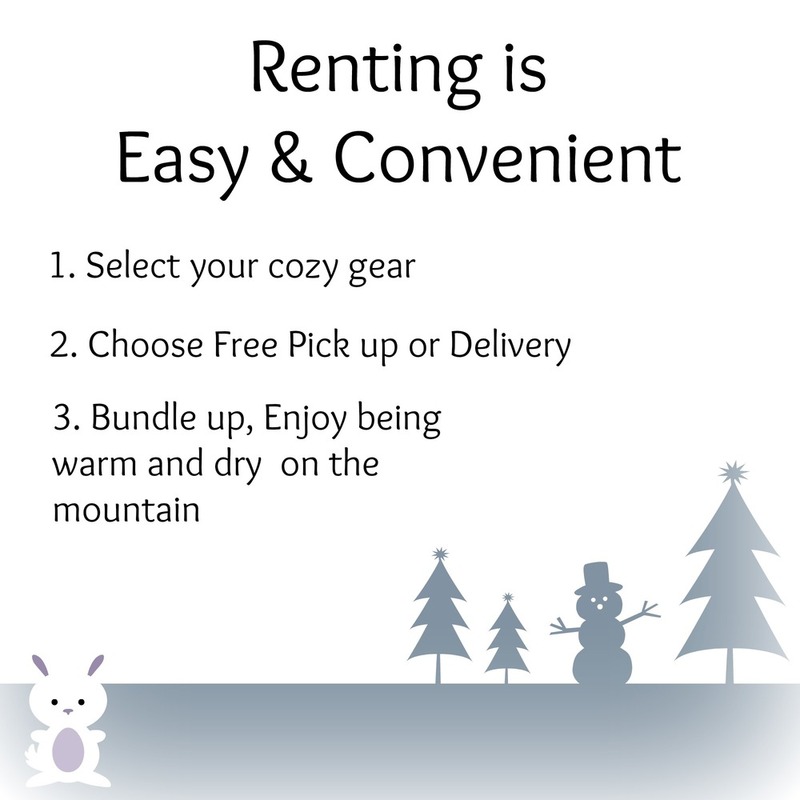 In a Hurry to get to the mountain- Need a rental in the next 24 hours? We want to be sure we have it in stock before you book online!